Exports contribute around four percent to India’s gross economic output. In past four years, India’s export amount has risen by 44 percent. In 2014, the country’s total export was over 318 billion dollars. With such a huge contribution of exports in the Indian Economy, Centre and State both had launch various schemes for tax exemption for exports under FTP(Foreign Trade Policy). Taxes on exports (% of tax revenue) in India were last measured at 0.01 in 2012. “Export sector is worried with the implication of GST on exports,” Federation of Indian Export Organisations (FIEO) Director General Ajay Sahai said. FIEO has raised several issues for the consideration of the GST Council so that the facilities currently availed by the sector continue as exports face competition from countries where the transaction cost is much lower. The lower the rate of taxes on exports, the higher the promotion of trade. Since exports contribute highly in regulating the BOP (Balance of Payment) system, bring Foreign Capital to the country plus give a boost to the economy of the country, the GST Council had to exercise vigilance when making provisions for taxes on Exports. Let us see how successful have they been in this regard. 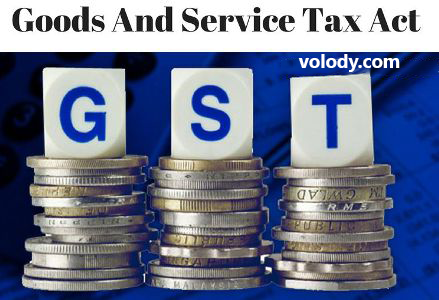 GST subsumes various taxes including excise, services tax, octroi and other levies and the proceeds will be shared between the Centre and states. Please note that Excise Duty is not a part of GST. An export of goods and/or services shall be deemed to be a supply of goods and/or services in the course of inter-State trade or commerce. Exports, however, will be zero rated, meaning exporters of goods and services need not pay GST on their exports. GST paid by them on the procurement of goods and services will be refunded. Here, we need to note that, zero-rated supply means a supply of any goods and/or services on which no tax is payable but credit of the input tax related to that supply is admissible. The Centre and State both have powers to make laws/ regulations regarding exports. No refund of unutilized input tax credit shall be allowed in cases where the goods exported out of India are subjected to export duty. Such documentary or other evidence to establish that the amount of tax and interest in relation to which such refund is claimed was collected or paid by him and the incidence of such tax and interest had not been passed on by him to any other person. If, on receipt of any such application, the proper officer is satisfied that the whole or part of the amount claimed as refund is refundable, he may make an order accordingly and the amount so determined shall be credited to the Fund. The officer in the case of any claim for refund on account of export, may refund eighty percent of the total amount so claimed and the remaining twenty percent may be refunded after due verification of documents furnished by the applicant. The procedure to obtain refund of tax is tedious and confusing. Since time period is six months, working capital shall remain trapped in this procedure of obtaining refund. This shall be responsible for loss of time and effort of people. Else, there has been no new, further tax being put on exports in India. It is Zero-rated, as explained above. It is to be noted that, irrespective of all other taxes, Excise Duty shall be charged as it was before the coming of GST. volody is a leading software providers to Listed Companies and Practicing professionals like Chartered Accountants, Company Secretaries and Lawyers. volody uses cloud based technology to provide best new age softwares for automation and compliance management.